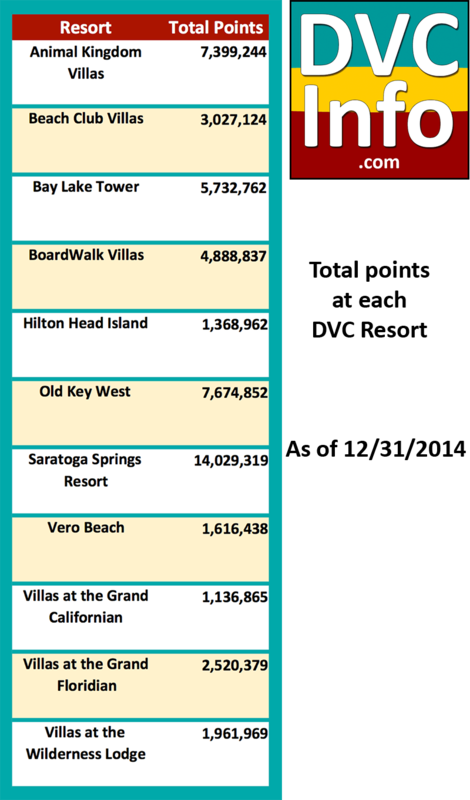 Curious people sometimes ask how many points there are at each DVC resort. Below are the figures as of December 31, 2014 – accurate +/- 1,000 points. PVB has over 4M points.